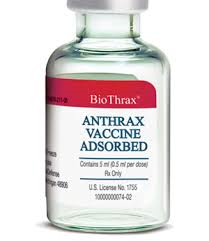 BioThrax is a vaccine indicated for the active immunization for the prevention of disease caused by Bacillus anthracis in persons 18 through 65 years of age. ​ 1.1 BioThrax is approved for pre-exposure prophylaxis of disease in persons whose occupation or other activities place them at high risk of exposure. ​ 1.2 BioThrax is approved for post-exposure prophylaxis of disease following suspected or confirmed Bacillus anthracis exposure, when administered in conjunction with recommended antibacterial drugs. In persons who are at risk for hematoma formation following intramuscular injection, BioThrax may be administered by the subcutaneous route. The pre-exposure prophylaxis schedule for BioThrax administered subcutaneously is 0, 2, 4 weeks, and 6 months with booster doses at 6 and 12 months after completion of the primary series and at 12-month intervals thereafter. Shake the vial thoroughly to ensure that the suspension is homogeneous during withdrawal. 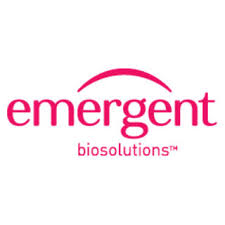 Parenteral drug products should be inspected visually for particulate matter and discoloration prior to administration, whenever solution and container permit. If either of these conditions exists, do not administer the vaccine. ​ Administer pre-exposure prophylaxis vaccinations intramuscularly into the deltoid muscle. If pre-exposure prophylaxis requires subcutaneous administration, administer over the deltoid muscle. Administer post-exposure prophylaxis vaccinations subcutaneously over the deltoid muscle. Do not mix with any other product in the syringe. 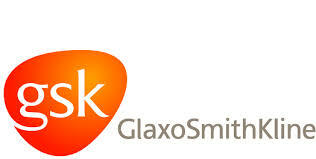 BioThrax is a suspension for injection (0.5 mL dose) in 5 mL multidose vials. See Description (11) for the complete listing of ingredients.